The North Center shop offers products ranging from weighted vests to tagless clothing. Photo: Steven E. Gross Bellybum Boutique is dedicating half of its space to toys, books and supplies for kids with special needs. Ellen Sternweiler thinks kids with autism and sensory issues should be able to shop in nice boutiques just like everybody else. “It shouldn’t be a clinical experience” for already overwhelmed parents, she says. As a small-business owner and mom of two kids with developmental differences (and one neurotypical child), Sternweiler has browsed medical-supply catalogs and shops for specialty goods. “And it’s not particularly relaxing or fun,” she says. But she’s hoping to change that by devoting half of her North Center shop, Bellybum Boutique (4347 N Lincoln Ave, 773-868-0944), to items for kids with sensory issues. She also offers these specialized products—organized for each of the senses—on her store’s website, shop.bellybumboutique.com. Bellybum carries weighted vests, chewable pendants, noise-reducing ear protectors, tactile discs, tagless clothing and a host of other products to make life more enjoyable for those with autism and other disorders. 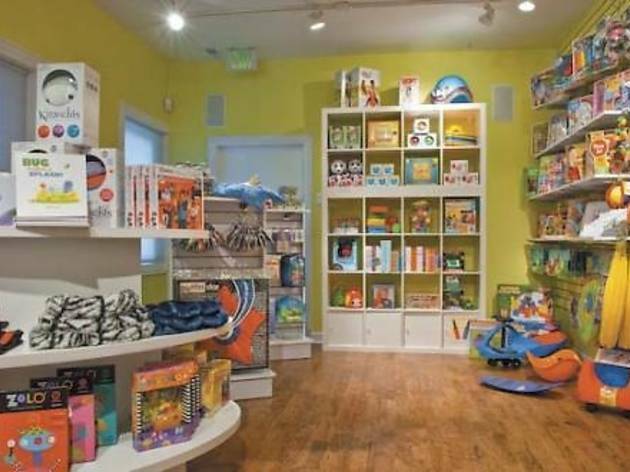 And all of it is located in a cheerful boutique-in-a-boutique filled with products for parents, babies and young children. 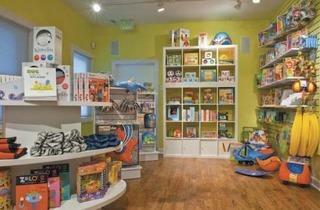 Sternweiler’s Sensory Kids shop is already open, but the store plans to hold an official grand opening later this month.